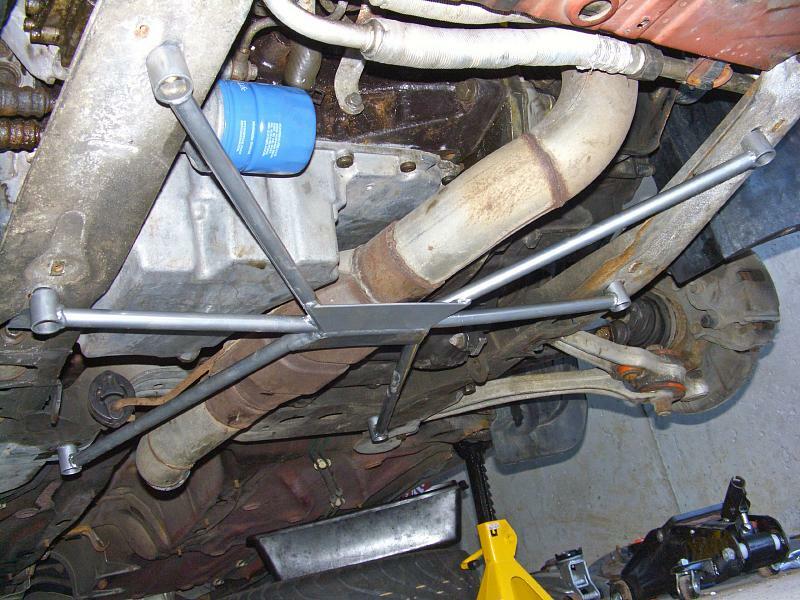 Taliaferro six-point front subframe brace installation on a 1995 Saab 900. 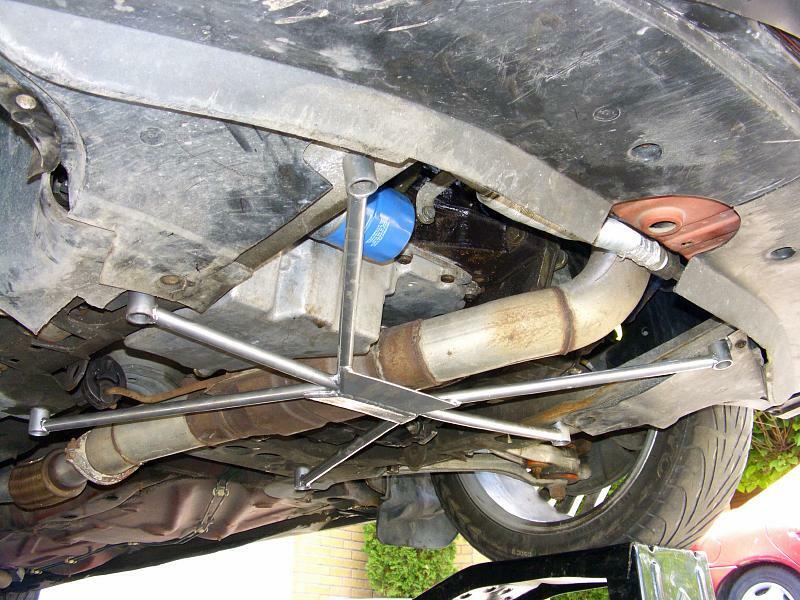 The subframe improves car's handling and does a great job in reducing the cowl shake on the convertibles. It fits all 1994-1998 900 and 1999-2002 9-3 models. car jack and stands or ramps. The kit contains the brace itself, installation hardware and new bolts. The short strip with a single nut is a spare part to use as an alternative to the driver's side rivet (see below). 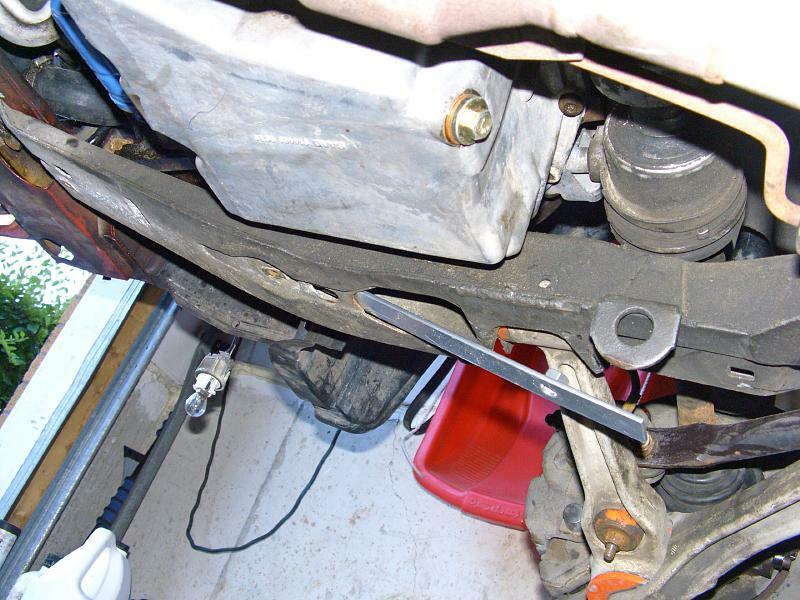 The long guides with two nuts welded on slide inside the subframe, through the control arm bolt window. Align them so both nuts match the oval holes in the subframe. 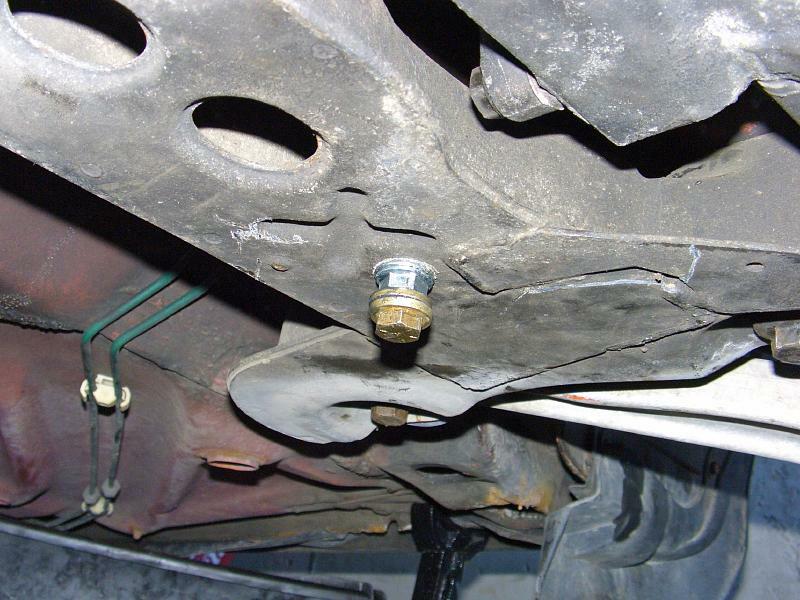 The rivets are supplied to provide the rear mounting points. The round rivet goes into the round hole in the rear left corner of the subframe, and the tapered one goes into the square hole on the right side. You might need a hammer to fit it in. The odd nut and a bolt with washers are only needed to install the rivets into the subframe, and are not used for the brace itself. 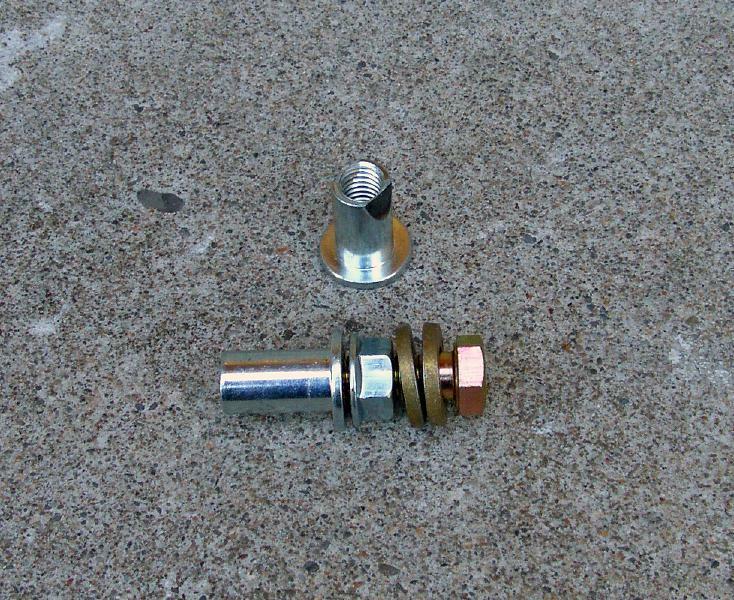 Assemble one rivet as shown, put some grease between the washers. Insert it into the subframe and start tightening the bolt while holding the white threadless nut with a spanner. The nut will bite into the rivet and prevent it from spinning, so the bolt will start deforming the soft rivet as it's tightened further. Eventually the rivet will become tightly seated in its hole. Remove the bolt and proceed with the second rivet. 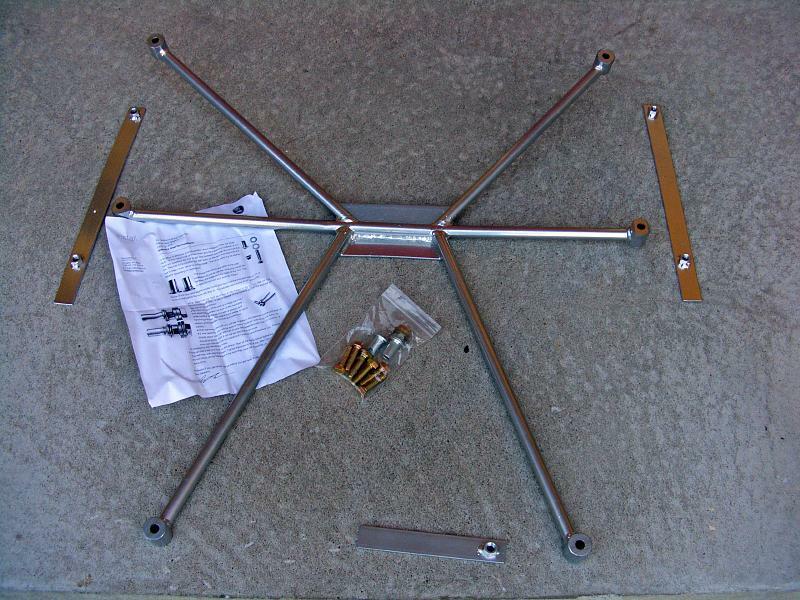 Fit the brace and tighten the bolts to 30 ft-lbs. The protective plastic shields fit with minimal modifications.